← What is a Deductible? Two mergers of giant health insurance carriers will be under scrutiny by congressional committees this month. In the past few weeks, Aetna announced that it intends to buy Humana, while Anthem announced plans to purchase Cigna. Aetna and Cigna are both based in Connecticut, and Anthem has a major presence here as well. These actions would have implications for patients in Connecticut and across the country. Many consumer advocates and government officials are worried about the effects on consumers of a consolidated health insurance market. The Senate Judiciary Committee Subcommittee on Antitrust, Competition Policy, and Consumer Rights will hold a hearing on Sept. 22 on this issue. Senators Mike Lee (R-UT) and Amy Klobuchar (D-MN), the chairman and ranking member, have asked the CEOs of the merging carriers to testify. Connecticut Senator Richard Blumenthal is a member of the subcommittee. 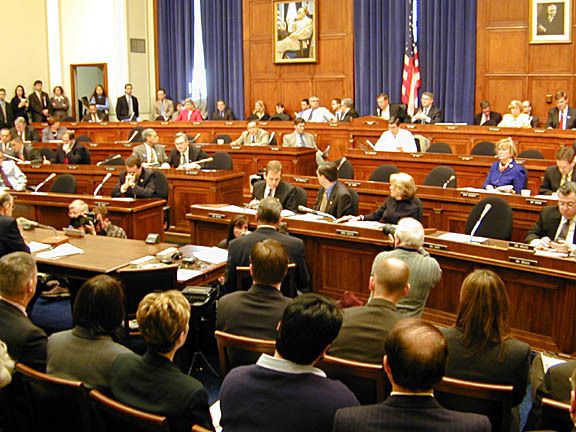 In the House of Representatives, Rep. Bob Goodlatte (R-VA) and Rep. John Conyers (D-MI), the chairman and ranking member of the House Judiciary Committee, announced that the subcommittee on Regulatory Reform, Commercial and Antitrust Law would hold hearings to explore the effects these mergers will have on competition in the health insurance market. Hearing dates have not yet been announced, but we can expect them sometime in September or October. To help push these deals through, the carriers have been beefing up their federal lobbying teams, with lobbyists from both parties to smooth the way for government approval. Other health care industry groups, including hospitals and doctors, are fighting the proposed mergers, which need approval from the U.S. Department of Justice and the Federal Trade Commission. The deals will also be reviewed by the Connecticut Insurance Department, as well as similar agencies in other states. We’ll be watching the congressional hearings and actions by state and federal regulators to ensure that consumers are protected while these big insurance companies attempt to get even bigger. This entry was posted in Max Friedman and tagged Legislative, Mergers. Bookmark the permalink.